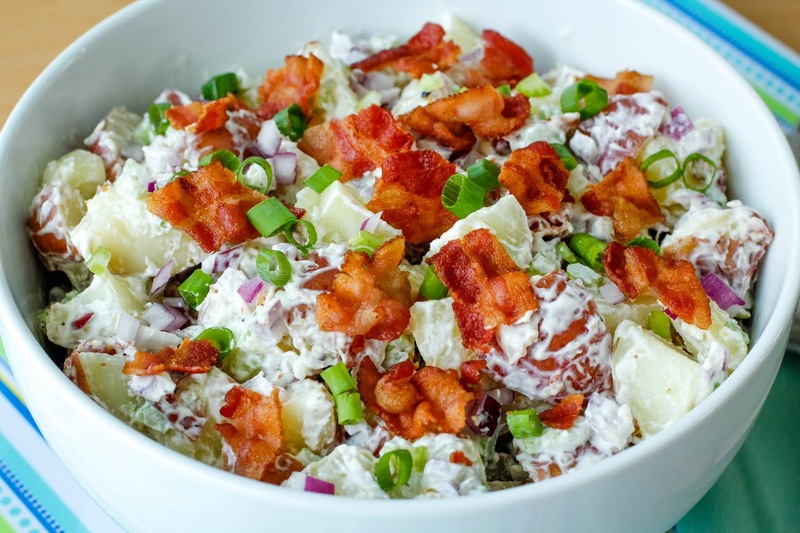 Red Potato Salad with Bacon is made with a cool and creamy mayo-sour cream mixture and tons of crumbled bacon. 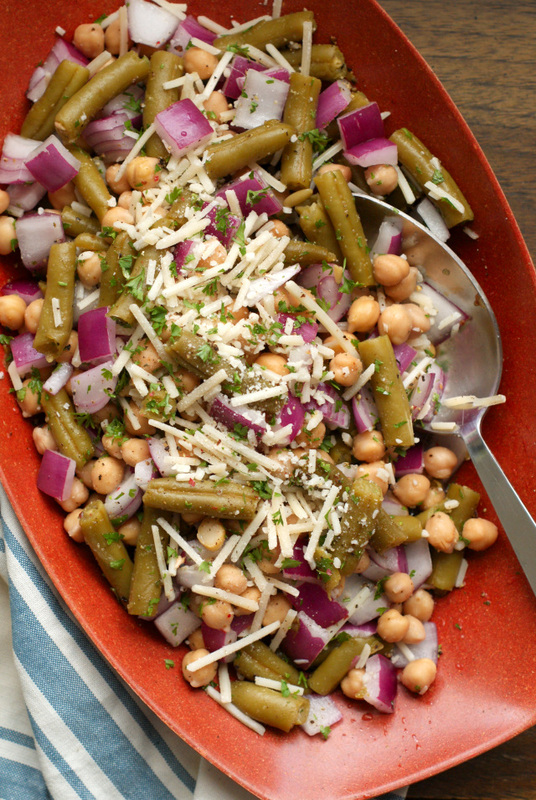 This simple side dish is perfect for barbecues, parties, and tailgating! Potatoes are pretty much my favorite thing to eat. 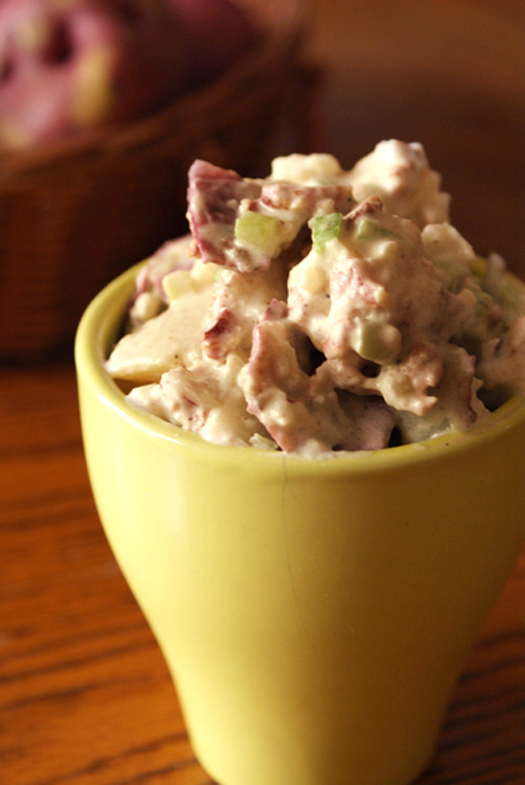 I always shied away from potato salad, however, because I am not a fan of mayonnaise. Lucky for me, I've discovered a way to make a potato salad that isn't overwhelmed by a heavy mayo flavor. My secret weapon? Sour cream! I mean, sour cream and potatoes are already a well know delicious combo, right? It's so perfect! By using equal parts mayo and sour cream, the finished product takes on the flavors of a baked potato rather than the mayo/mustard flavor of a traditional preparation. Now that's my kind of potato salad. Throwing in some nice crispy bacon rounds out the texture and flavor of this superior side dish. After all, everything's better with bacon! 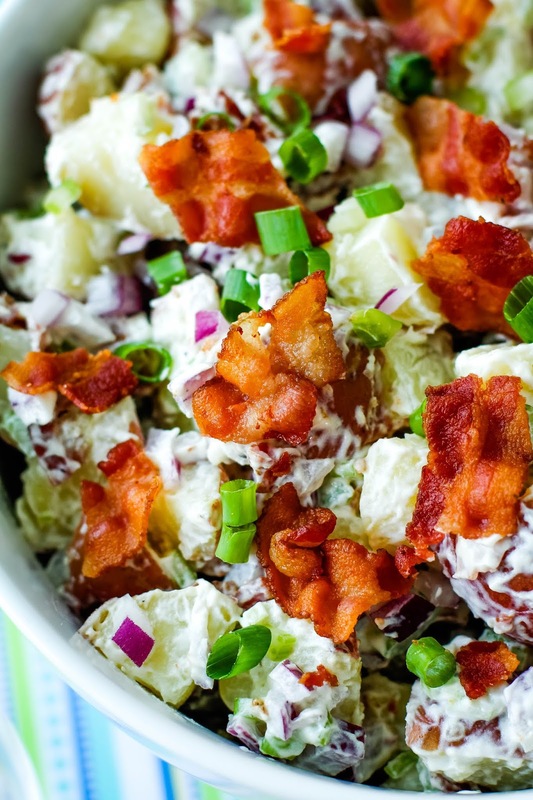 And when I say there's tons of bacon in this potato salad, I'm talking a whole pound. We don't mess around. Perfect for barbeques and still delicious the second day, there's no reason not to give this one a shot at your next cookout, summertime gathering, or game day tailgate extravaganza! 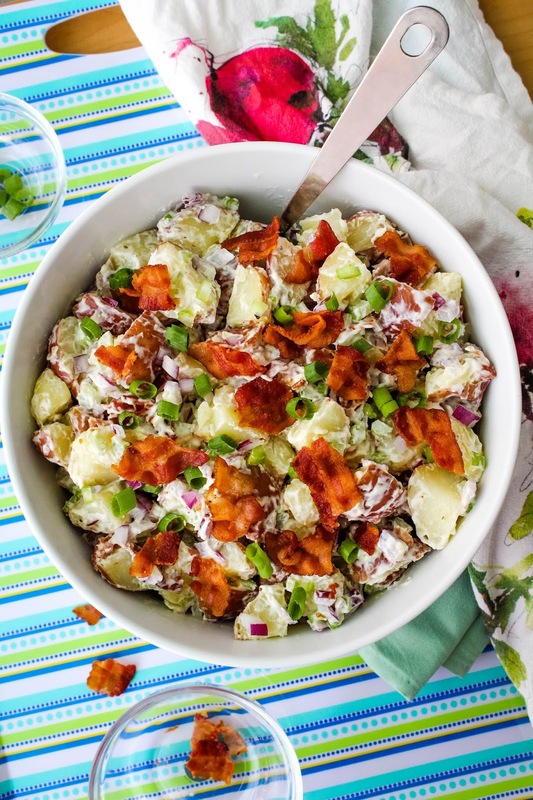 You've got to have something to serve with all of those burgers and hot dogs and this potato salad is the perfect choice. Ae you preparing a tailgating menu? 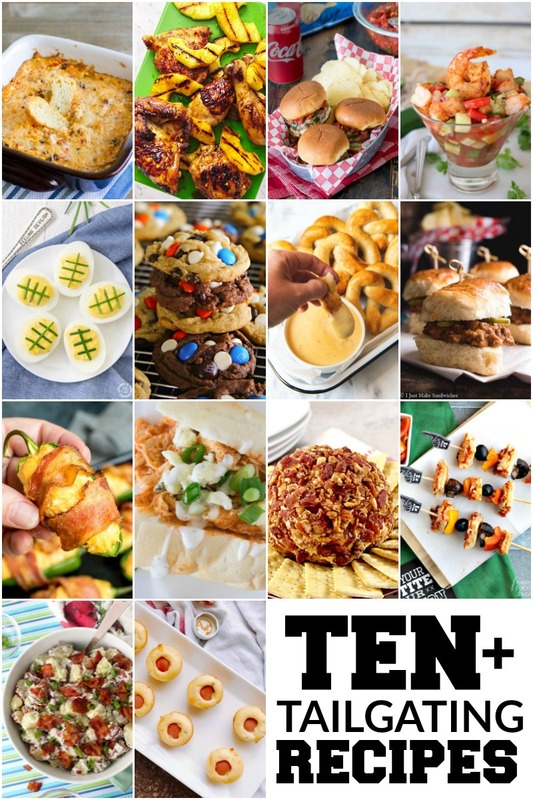 If so, check out this collection of Ten Tailgating Recipes from my friends around the web! 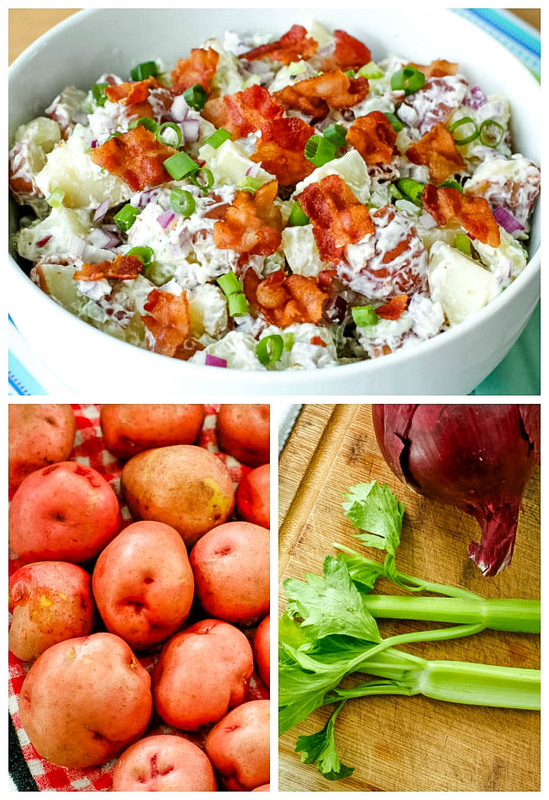 Red Potato Salad with Bacon is made with a cool and creamy mayo-sour cream mixture and tons of crumbled bacon. 1. Boil potatoes in water for 15 minutes or until tender. Drain and let cool for 5 minutes. 2. 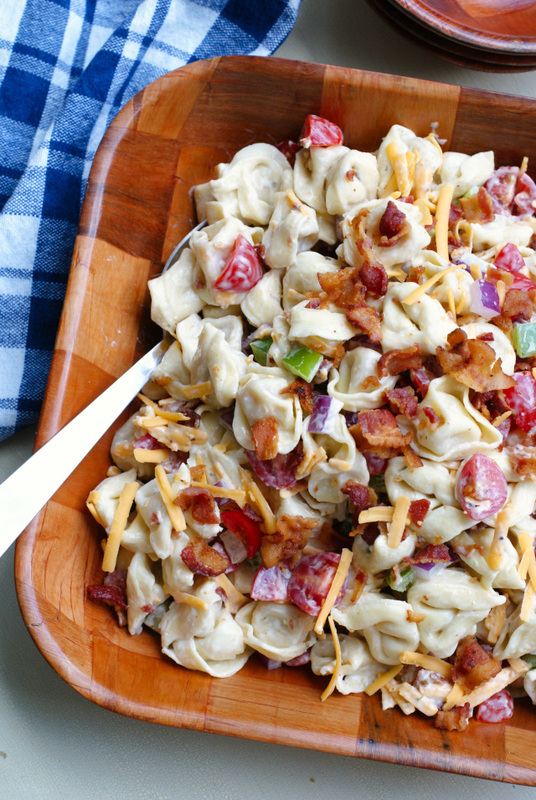 Place potatoes in a large bowl with bacon, onions, celery. 3. In a separate small bowl, combine mayonnaise, sour cream, salt and pepper. Pour over potato mixture and gently toss to coat. shari: Those are excellent substitutions. 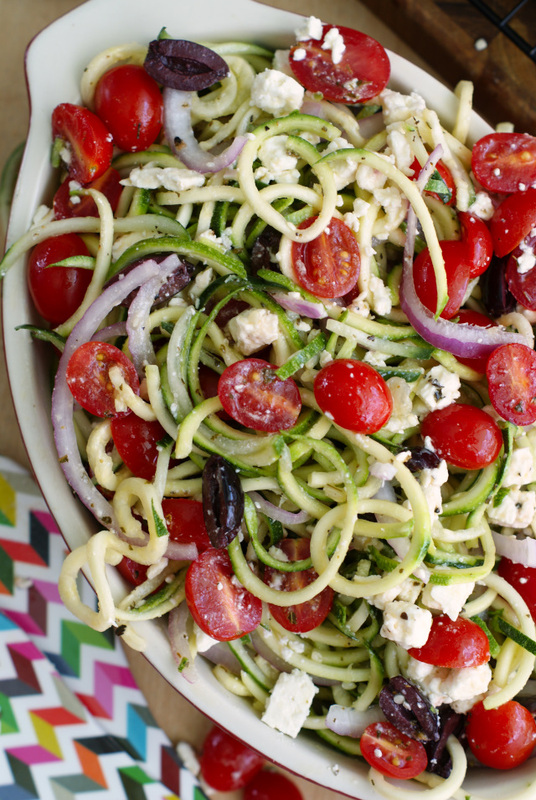 Greek yogurt is fabulous! The best part of cooking is being able to tailor a recipe to suit your personal tastes...or calorie budget! This is a potato salad I would love too!